Uber has been in the news in recent time due to its merger with Grab. Concerns of the merger violating competition laws in Singapore resulted in the Land Public Transport Commission meeting with the Malaysia Competition Commission to relook at the merger. 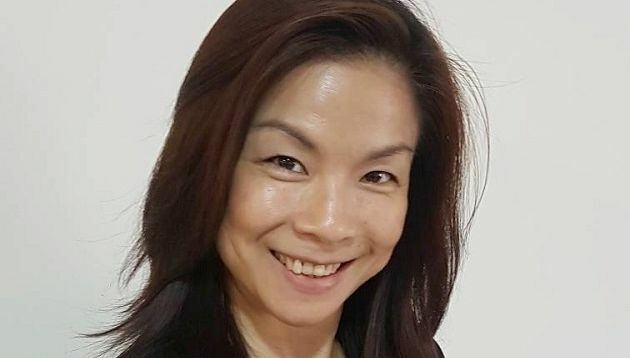 While Uber hasn’t always been a brand seen to be flying the transparency flag high, Geraldine Wong, country head of marketing, Uber Malaysia, is one leader who was working on the brand to bring back trust and transparency to the table. “As with all social relationships, trust and transparency are really important. When this trust is compromised, we start to question each other’s intentions based on our assumptions of the other’s actions,” Wong said. Speaking to A+M she said these two pillars are really important in sustaining ideal client-agency relationships and grooming talent in the marketing industry. When either trust or transparency gets compromised, there is a domino effect which affects other aspects of the client-agency relationship, resulting in it becoming toxic. Wong described that client-agency relationships need to be “symbiotic”, with one complementing the other. She said that in today’s fast-paced world, it is easy to forget that human beings form the core of a client-agency relationship. Besides expressing trust and transparency by entrusting her plans and strategies to her agency partners, Wong also wants them to feel confident enough to speak the truth about what works and what does not. Having the best interest of the brand in mind and “being real” is crucial to produce mutual understanding, which leads to greater success together, Wong said. Before the recent announcement of the Grab-Uber merger, Wong said she focused on ensuring that ensuring that the agencies Uber Malaysia worked with understood the fundamental value of collaboration. Unfortunately at this juncture, the decisions on which agency partners to work with hangs at a limbo. At the end of the day, people are at the core of the business. So, good chemistry really makes the partnership better. According to the ID Comms 2018 Global Trading Survey report, industry professionals view hiring the best talent as the biggest challenge in developing in-house media buying capabiliites. Marketers surveyed also said that a range of skills is needed to develop successful in-house media buying capabilities. While the report focused on in-house media buying, the issue of finding good marketing talent is no doubt a problem in the industry. Wong said the challenge is to find not just the right talent with the appropriate skillsets and attitude, but also individuals who would share the values and principles that a brand upholds. Among the list of skills that Wong thinks marketers need today to be equipped for the future is understanding both traditional and digital marketing. She said that although digital is key today, it is also important for an individual to have a solid background in traditional marketing. Success comes from the ability to adapt to various situations, and this is a skill that every marketer should have. She added that success is not just measured by a final outcome, but instead, is measured in every step taken to achieve a company’s goals. This includes situations which requires marketers to be versatile enough to make changes. Being a good storyteller, as well as having resilience and industry awareness are also key skills that Wong said marketers should possess today. “The industry can be a place that makes or breaks you. Having that ability to stay positive and proactive throughout, and the know-how to handle various situations are qualities that will pull you through,” she said. On her current role, Uber said that it is yet to be decided on the exact designation but Wong is understood to still be part of the combined entity. Riding on the wave of digital proliferation, Wong said she sees a future where artificial intelligence and machine learning continue to play a key role in matching riders to drivers more efficiently, or recommending the right meals based on learnt user preferences. Augmented reality will also play a role in helping driver-partners navigate their journeys more efficiently. “In every step of the customer journey – from the moment a person opens the app and taps on where they want to go or what they want to eat; to when they arrive at their destination or receive their meal – technology will always provide support to much of what we do,” Wong added. Despite having invested a “significant portion” of its annual marketing budget into digital, Wong said the company is placing a higher emphasis on understanding the consumer journey and building their loyalty through consideration, evaluation and advocacy. According to her, the interesting thing about going digital, especially for the ride-sharing industry, is that it is effective in reaching early adopters but not necessarily the mass audience and the uninitiated. As such, Uber used data-driven insights to help it form better strategies that are adaptable across various media. Grab-Uber merger: Did internal communications fall short? Uber soon to bow out and hand Southeast Asia business to Grab? Letv has formed an alliance with California-based electric vehicle company Faraday Future (FF), a Silicon Valley-funded start-up w.. The OptiMaX truck is XCO Media+’s newest large format OOH advertising asset – easily transforms from a 3D advertising billboard i..